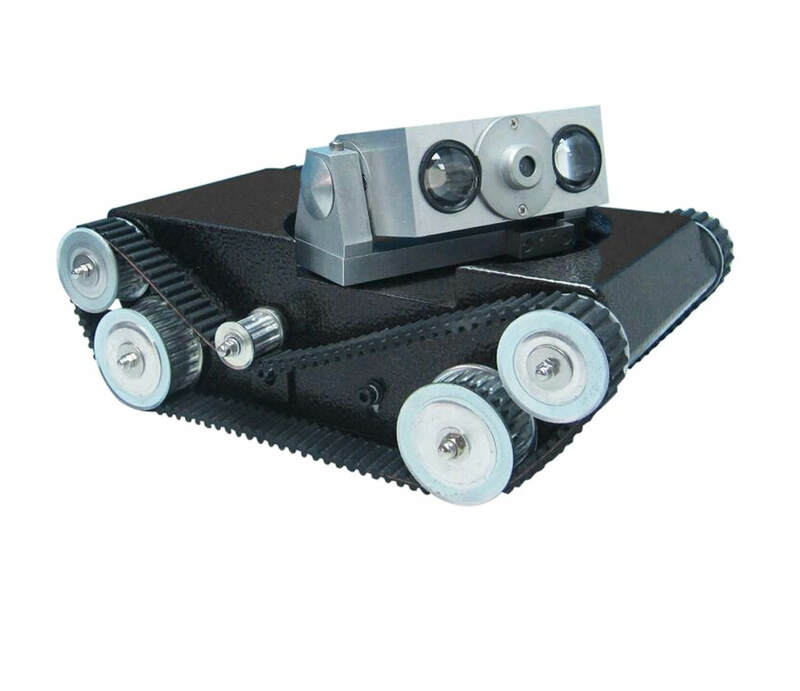 Equipped with a 360 ° auto rotating, free angle adjustable tilting, color video camera (complete with high intensity illumination) and jib-arm auto up/down dust collecting device, this robot travels inside the air duct on tracked mechanism. Through observing the interior condition of the air duct and the samples so collected, the service provider can then come up with a customized cleansing and disinfection proposal for the Manager’s approval. Operating Range: Standard length 20 meter; can be extended to 100 meter if required. Driving Mode: Crawler type only. Travelling Speed: 0-12 m/min (continuous variable transmission). Video Recording & Illumination: 520 lines, industrial grade, 360° auto rotating, 90° adjustable tilting, color video camera. Four (front and rear) scatter type high intensity illumination (3Ls - long life, low temperature, LED). Sampling Method: Mechanical jib-arm, auto up/down, dust collecting sampling device.